The Grand Valley State University Ski Team proposed to start a high school ski club at Allendale Public Schools. Last night the Athletic Director agreed if I would sponsor the club - being the site owner - and supervise the activities. So, we have an agreement for starting the club. The goal is to have an instructional and fun time culminating with a tournament so the kids understand what competitive skiing is all about. I don't think we can get other schools involved right now, maybe in a year after proof of concept. Any advice? Wow, I don't have any advice, but that is AWESOME! Jennifer Leachman LaPoint started a HS waterski legue down here in FL. They have had 2 tournaments I believe. Involves several private schools. NOT a traditional format. It's slalom, wakeboard and kneeboard. All earned points go to team overall only. Slalom can be short or full width course or just wake crossings with points given accordingly. 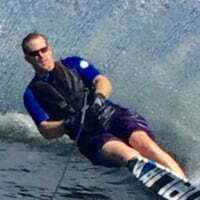 If the skier has been in an official AWSA tourney, they are handy capt by having to beat their best score. Makes the competition even across the board. A Wilson brother was in one and the way she sets the scoring unless he did well he'd get beaten by a wake crosser. She really laid it out well. If I can get enough interest this yr at my daughters school, we will be joining the this yrs touney in April if she has it. AWSA/USAWS has all the insurance (and it's cheap) laid out and is easily aquired. Kids will have to become members at $35 grass roots price and they will get the mag and all the goodies from USAWS. Then all practices become sanctioned and your covered. I have all the paperwork in my car just gotta get it done. Call them and they will get you the forms and walk you through it. Great idea! Thanks in advance for all your efforts to grow the sport at that age group. My daughter is going to high school next year, I wish it was available where we live. Good luck!